With the busy days ahead, I spent the last day of November doing my Christmas shopping. Aside from shopping for gifts, I also had a few errands to run–pay bills, do grocery, have my brows groomed–and the only mall I could do both is SM Megamall. Though I could feel the Christmas rush as the mall was packed with shoppers like me, I literally walked from building to building, level per level to check on what stores I can shop at. I gotta say when shopping becomes a chore it can be challenging & sometimes stressful. Hahahahuhuhu. But I’m proud to say that I spent my day well as I finished all my errands and I’m halfway through my Christmas list. Thinking about how efficient I was during my recent trip to Megamall, I wanna share a few hacks that can help you save a bit of money during this Christmas season. Malling and not having an agenda on what to do and what to buy can be a dangerous thing especially during the holiday season. You wanna spend your money wisely? Go ahead and list down the things you need to buy and what you need to do at the mall–this will help you focus and not be tempted to buy anything else. I know this may sound weird but having a full stomach can save you money. For someone who likes to eat (I sometimes snack every hour!) I know that having a full stomach when I’m at the mall is really a money saver. Not only do I not spend so much on food, I also make better decisions when shopping because really who can think straight with an empty stomach? I’ve had my fair share of paperbags giving up on me and it’s not a good sight–imagine all that your bought scattered on the floor for every shopper to see. Since then I’ve made sure I have about 2-3 eco bags neatly tucked inside my bag–they’re practically weightless and don’t occupy much space. Not only do you get to save a few pesos, you also help the environment. Who doesn’t love a good deal? Before heading out to your favorite mall, check their social media pages for exclusive deals with their partner stores/brands. There’s always a good deal especially with SM Supermalls. Speaking of deals have you seen the latest campaign of SM Supermalls called Follow The Yellow Dot? SM Supermalls have partnered with select establishments to give us more deals and rewards all while shopping. Simply check your favorite stores, specialty shops and restaurant for the yellow dot. Then just flash your SM Advantage, SM Prestige, BDO Rewards or E-Plus Cards, so you can enjoy exciting discounts and perks. There are over 500 participating stores across all SM Supermalls nationwide! Since I saved a few bucks during my Christmas shopping, I figured I reward myself with a bit of pampering. 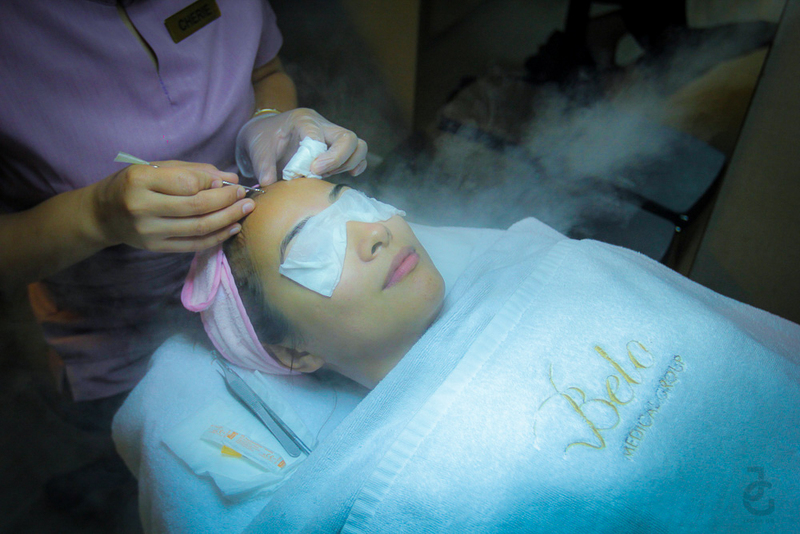 So I went to Belo and treated myself with a long overdue facial. 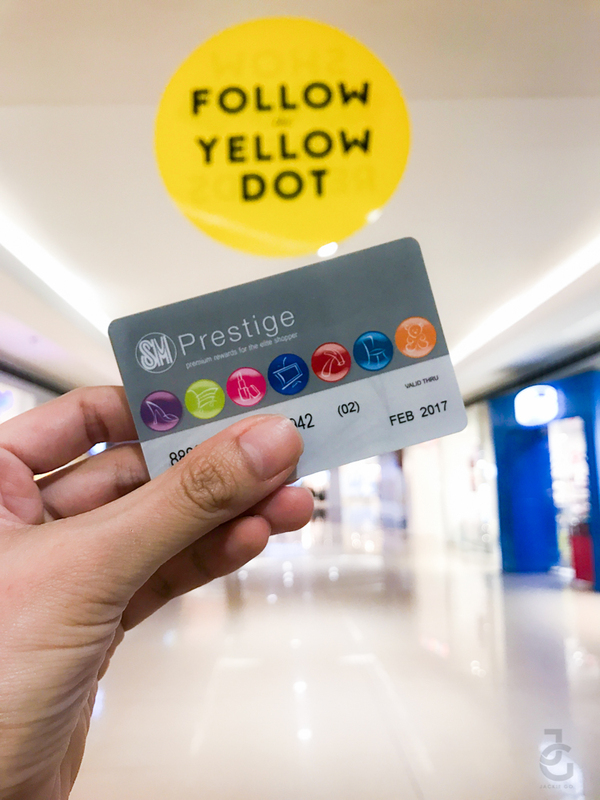 Since Belo is a #FollowTheYellowDot establishment partner, I just flashed my SM Prestige card and I instantly got 10% off my bill. Winner!